‘Dear Refugee’ is the latest poetry collection from British-Syrian writer Amir Darwish. 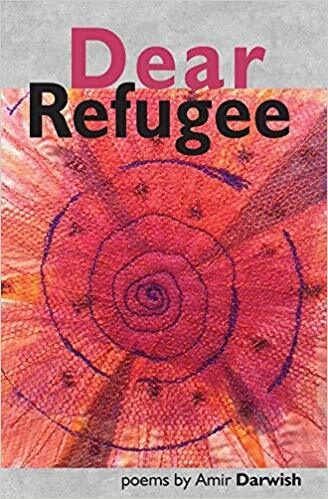 Addressed to both refugees and other readers, many of the 35 poems reference the exodus of the millions who have had to leave their homes in search of safety, shelter and peace elsewhere. They offer an insight into the mind of a man who had to make a dangerous journey himself and knows how it feels to have to rebuild a life in a place that is initially foreign to him. In ‘I am an immigrant and I love life’, ‘We want to live’ and ‘Where I come from’, Darwish confronts us with the simple truth that a refugee – who endures much pain, distress, sadness, agony and loss along the way – still wants to live, love and prosper. Whatever darkness he may have witnessed or trauma he has faced, he not only hopes for survival and basic things; but, also, he wants to achieve a Jungian type individuation through work, education, art, creativity and relationships. Powerful in the imagery of what one leaves behind and what one might find in a new home, the poems reflect on how a person feels about the dramatic transition that is humanly required of him and how he toils to recuperate and integrate into a new society and environment. The book also encourages a debate on how asylum seekers are negatively conveyed in public discourse in the West and demonised in the popular imagination. Like a human I come to share the space. The rest of the poems are directly about love and its many guises. With a focus on romantic love, however, one gets the impression from the author that such a love doesn’t discriminate and is not thus relative to one’s immigration or passport status. Love touches everyone and no matter past hurts, it is what always comes to save the day. Darwish’s personal refugee story began in 1997 when he had to escape from Syria as an 18-year-old because the police got hold of information that he had written a poem about Kurdistan that was considered to be a political threat to the regime. Darwish, who is of Kurdish descent, had been betrayed by his brother’s friend who had relayed the contents of the poem to the authorities. He knew that detention and punishment would be his fate if he were to stay in Aleppo. Quickly before the security services had a chance to take him, his mother sold pieces of her gold to get him a passport and obtain a visa to go to the United Arab Emirate. It was all done in a matter of a week and he had to also pay a bribe at the airport in Syria so that his name would be removed from the system for a few hours until he flew out of the country. At first the young aspiring poet thought he could read and write freely in Dubai without the pressures of back home. However by 2003, it had dawned on him that the UAE is a controlled society itself, without full freedom of expression and therefore not safe enough for him to stay. So the plan was to make another run for it, this time to Europe and the UK. (In terms of his fears about Dubai, only recently in 2018, British academic Matthew Hedges was convicted of being a spy and sentenced to life imprisonment, to later be pardoned). Darwish finally arrived in the UK hanging underneath a lorry on a ferry from France to Tees Port in the North East of England. He claimed asylum on the spot and told the Home Office the story about the poem and harassment by the Syrian police. They collected him from the ship and placed him in a refuge in Teessdie, Middlesbrough where he lived from 2003 to 2015, by which time he had gained citizenship in 2009. Since then, Darwish has immersed himself in higher education, writing and joining in the London spoken-word and poetry circles. 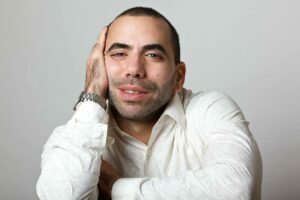 He is an active member of Exiled Writers Ink (EWI) which is a charity that brings together writers from repressive regimes and war-torn situations, providing a space for them to be heard. In particular, EWI gives voice to refugees, migrants and exiles and advocates human rights through literature. Darwish is also the author of an earlier poetry collection titled ‘Don’t’ Forget the Couscous’ and the first part of an autobiography called ‘From Aleppo Without Love’. The latter is a raw and honest account of a very difficult and painful childhood in Syria that offers more insight into his story and how he came to be the sensitive poet that he truly is. Nahla: As this book is about the refugee experience, how did it feel for you to go through the process of claiming asylum and eventually getting UK citizenship? Darwish: The feeling was inexplicable. I thought I was born anew, with a new identity, new persona, new me. I value that gesture from the British government and I am grateful to them. If I am to show them gratitude it would be through my education as I continue to thrive forward. Nahla: How did you first adjust to life in the UK? Darwish: My settlement was paved with difficulties. I overcame these with determination and hard work on my language skills, relationships and education. I worked at the beginning in a car wash where I had to wear two or three gloves in winter to keep my hands warm and got paid only £10 a day where it was not even enough for a good filling meal. Slowly I started to make friends and discovered Middlesbrough College where I went to improve my English. As my language skills got better, I started working as an interpreter; and, by 2011, when I felt my English was just good enough to study my dream degree, I enrolled at Teesside University and graduated in 2014 with BA degree in History. Since then I also completed an MA in International Relations (Middle East) from Durham University. Nahla: Would you say there is negativity in the mainstream towards refugees? Darwish: Unfortunately, yes, there is negativity towards refugees and immigrants in general regardless of their background. That negativity has always been there in Europe, yesterday it was the Jews, today it is the immigrants, before that the Irish and so on and so forth. Having said that, I think the refugee and immigrant communities do have a responsibility to make an effort to integrate, not assimilate but integrate as in making friends with the locals, eating different food and engaging in the political process of the country. Integration is a two way process and not one way only. Nahla: From your autobiography I know you come from a big family of 12 siblings. What has happened to your brothers, sisters and mother since the conflict began? Darwish: All of my siblings have left Syria. They are in Turkey, Germany, UAE, Canada, Belgium, America and me in England. They all sought refuge in these countries and slowly they are settling. I am in touch with some of them, mainly my sisters who are mentioned in the autobiography. My mother however passed away a few months ago in Turkey. Although she always wanted to die in her homeland, that was not possible due to the war. The latter has dispersed all the siblings and the impact of it was huge in terms of uprooting their life completely and having to rebuild elsewhere. Nahla: When did you realise you wanted to be e a poet and what inspires you? Darwish: I first came across Arabic poetry when I was fifteen. I read a book of Mahmoud Darwish and never stopped reading ever since. The other poet I discovered was Nizar Qabbani. My first attempt to write was when I was sixteen when I penned the poem about Kurdistan. Eager as a young man to share it, I read it to my brother’s friend who then told on me. That was my only attempt to write poetry in Arabic and it ended up in me leaving Syria. It was however my first inspiration as I started questioning why the Kurds do not have a land. Today is a different story as I write in English and get my inspiration from humanity and the messages that can touch everyone. Love, peace and humanity inspire me most these days. Nahla: What do you wish for readers to take with them after reading this book? Darwish: My hope is to open the reader’s eyes to the fact that refugees and immigrants are capable of having a universal message to deliver to the world; and, also, to show a different image to the one often painted in the media. With me being Syrian, it is important that the reader knows that my country can produce literature that touches on love and affection as opposed to the violence often seen on the TV screens. Refugees are humans first and refugees second. They have multiple identities and not one single one under the term ‘refugee’. They are husbands, wives, workers, professionals, of different ethnicities and religions. 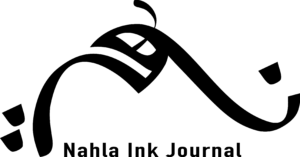 Nahla: Finally the future. What are your current ambitions? Darwish: I am currently working on the second part of my autobiography, ‘The Days of Aleppo’ and hoping to publish it in 2020. Thereafter I am preparing a poetry collection with the main theme being Love.